Produce 48: Are J-Idols Lacking in Skill? If you’re an avid fan of both JPOP and/or KPOP, you may have seen a snippet from a show called Produce 48 going around, where they highlighted the difference in skills between the Japanese and Korean trainees. And oh boy, what a harsh reality check it must have been for the Japanese trainees as all of them have already made their debut under the AKB48 umbrella, with one even having 10 years of experience under her belt. 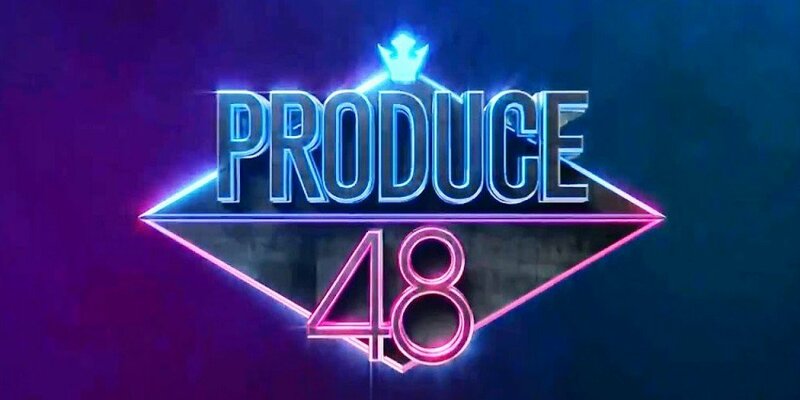 Before we delve further into this topic, let me first introduce the concept of Produce 48, which is a collaboration between the famous Korean survival show, Produce 101 and Japan’s national girl group, AKB48. Airing its first season in 2016, Produce 101 can be considered to be the pioneer of ‘idol group project’ survival shows where the audience, also known as the “national producers”, will vote and the top 11 out of a whopping 101 participants at the end of the competition will form and debut as a project group. In Season 1, that group was known as IOI and they were loved and adored by both domestic and international fans alike. Following Produce 101 Season 1, many other survival shows cropped up from various broadcasting stations, but none were ever able to achieve the same popularity as Produce 101 did. The next year in 2017, the show came back with its second season, featuring boy trainees this time round, and the popularity of the show rose to even greater heights with Wanna One (the final boy group) making their official debut. This time round, MNET (the broadcasting station) has collaborated with AKB48’s producer Yasushi Akimoto, combining the competition system of Produce 101 with the ‘idols you can meet’ concept of AKB48, which performs in a designated theatre for fans. Featuring Korean trainees who have never debuted before to those who have made their debut, as well as AKB48 and their sister groups SKE48, HKT48, NMB48, and NGT48, the ones that make it to the Top 12 will form a global group and promote for 2 and a half years which is unprecedented (as earlier seasons were only for a year). I’ve also never seen a Korean/Japanese collaboration of this scale before (but do correct me if I’m wrong)! In the video above, you can see that the judges were struck speechless at the performance they watched because it was really messy and the performers were not synchronized with each other, particularly because KPOP as quoted, “is well-known for its synchronized performance”. One must first understand the extremely high standards that the Korean entertainment industry has, whereby each trainee has to be well-versed in singing, dancing, rapping (if your position is a rapper), and knowing the fundamentals of each skill is heavily emphasised on. With the entertainment industry becoming more and more competitive due to KPOP’s globalization, every single label in Korea is working to develop and train future idols who are good at everything, almost as if they were manufactured from a factory. However, that is also why KPOP was able to gain fans from all around the world, not just in Korea. If it isn’t obvious by now, the culture in Japan and Korea is extremely different. Less emphasis is placed on enhancing the basic skills of singing and dancing, but more on your ability to entertain the audience. Thus, rather than focusing on synchronized choreography like in Korea, the demand in Japan is focused on creating and developing cute idols, and this is why in some cases, some members within AKB48 are able to become popular even though they can’t sing and dance. However, if you go outside of Japan, you’ll find that JPOP is an incredibly niche market, even in Malaysia! While I knew of AKB48’s existence, I was never exposed to members of AKB48 until Produce 48 came about. As HKT48’s Miyawaki Sakura stated, while they are really well-known in Japan, the moment the AKB48 girls step outside of Japan, they lose the respect they earned throughout their career because the international market demands for perfection (which they don’t have), and that is why the Hallyu Wave was able to spread globally, even to Western countries. This is why I believe that this collaboration will be extremely useful for AKB48 to get themselves even more known to places outside of Japan. Not only could it be due to cultural difference, the difference in skills could also be because of the AKB48 system itself. To refresh, AKB48 follows the ‘idol you can meet’ concept where they have their own theatre and performances are held on a daily basis. While AKB48 was a success in Japan, the sheer amount of members in AKB48 makes it difficult for each individual member to receive individualised training as mentioned in the second episode. Thus, most of the time, the members have to work hard by themselves such as learning the choreography, trying to improve their singing and so on. Plus, without any constructive criticism or feedback, it is really hard to improve since you might not even know what’s the problem in the first place. While most of the Japanese trainees are lacking in technical skills, they make up for it with their grit and passion. 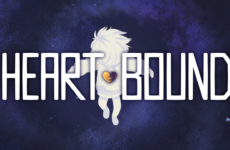 In the second episode, once the 96 participants have been assigned to their grades, they were given a mission where in three days time, they would have to film two videos of them performing the theme song; one in Japanese and one in Korean. In the video shown below, you can see that even if the Japanese trainees forgot their lyrics or dance moves, they try their very best to finish performing to the very end, which honestly showcases how hard they worked, their professionalism as well as their experience. Most of the Japanese trainees also tried their hardest to memorise the Korean lyrics which is honestly a really hard language to pronounce and memorise. On the other hand, it was disappointing to see how some of the Korean trainees froze up or just chose to dance during the filming of the Japanese version. If their Japanese counterparts could do it (even those at the lowest rank), why can’t well-trained Korean trainees in the A rank do it? And in terms of their attitude, this is where the Japanese trainees shine and excel as they are used to working hard to achieve their goals; something that the Korean trainees should learn from them. By receiving training from Korea, I’m pretty sure that the Japanese trainees will be a formidable force to be reckoned with in the coming episodes. Do bear in mind that I’m not trying to generalize by saying that every single member of AKB48 (or J-idols in general) lacks skill as there have been a few dark horses rising up such as Takeuchi Miyu, Honda Hitomi, and Yabuki Nako, and I’m frankly excited to see what they can bring to the table. I hope that the AKB48 members will take this rare opportunity to hone and sharpen their skills with more individualised training from great and experienced teachers, and the Korean trainees could stand to learn from their Japanese friends regarding persistence and enhance their personal development. Looking forward to see how much more the Produce 48 participants can improve with all the upcoming performances! 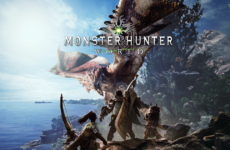 Monster Hunter; Difficulty in Games Executed Perfectly? Hatsune Miku is the Best Vocaloid!